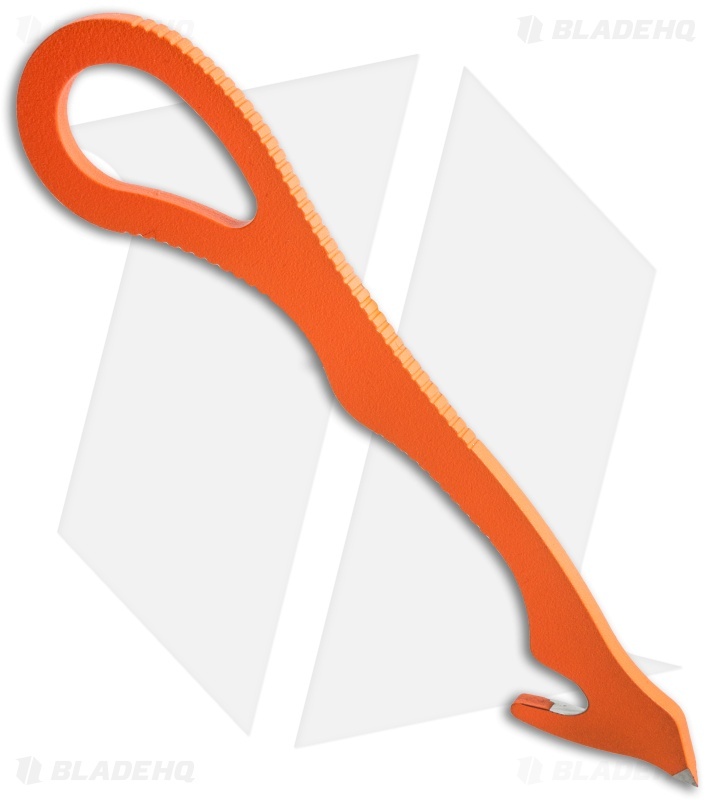 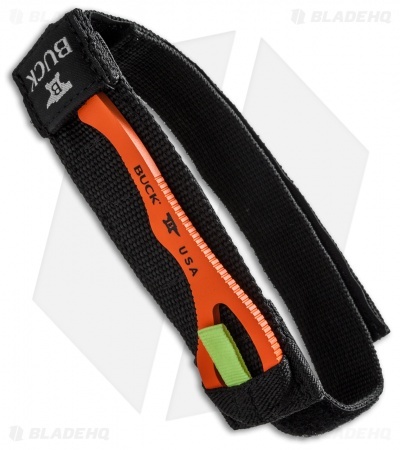 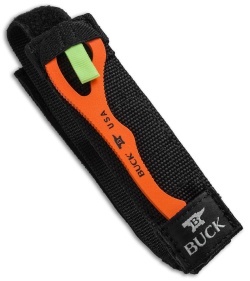 Made to quickly and safely cut through straps and rope, the 299 Strap Cutter from Buck is an emergency rescue tool. It features Sandvik 12C27MOD steel construction with a highly visible, bright orange finish. 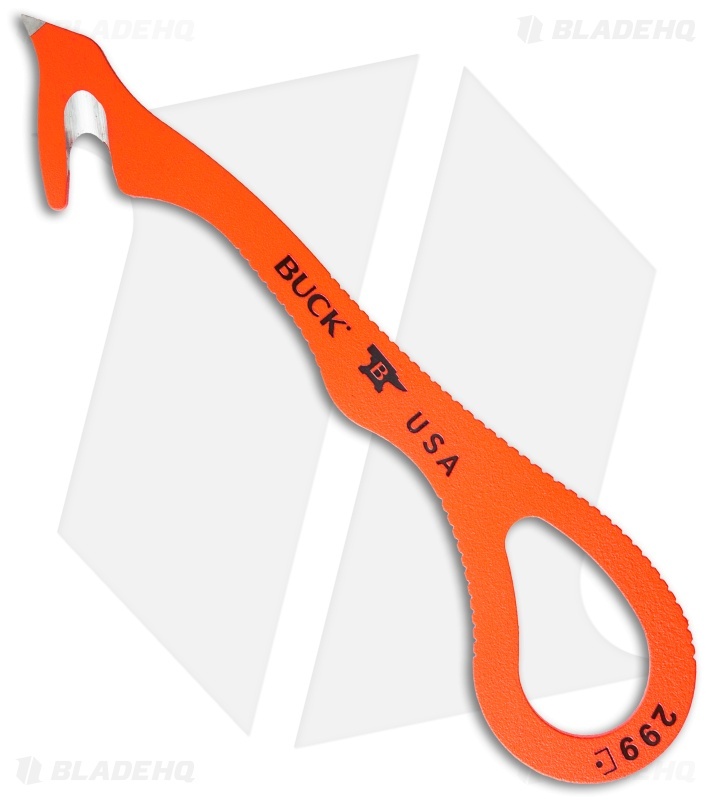 Designed for comfort, grip, and general ease of use with notches around the edge at contact points. The hole at the base of the handle provides maximum pulling power and the breaker on the opposite end makes quick work of glass in an emergency situation.